Complete your bath with a beautifully designed Delta roman tub faucet, meticulously crafted to turn heads and enhance your experience. The included hand shower makes this a versatile addition to your bath, perfect for rinsing off, washing loved ones and pets or keeping your tub clean. Designed to look like new for life, Brilliance® finishes are developed using a proprietary process that creates a durable, long-lasting finish that is guaranteed not to corrode, tarnish or discolor. Vintage and elegant, Polished Brass lends an old-world look to traditionally-styled spaces. The highly-glossed surface and vibrant warmth provides a pop of color against neutral tones for an eye-catching highlight to your décor. Brilliance finishes are durable, long-lasting and guaranteed not to corrode, tarnish or discolor, so you can enjoy a tub filler you'll love to look at for life. Delta WaterSense labeled faucets, showers and toilets use at least 20% less water than the industry standard—saving you money without compromising performance. You can install with confidence, knowing that Delta faucets are backed by our Lifetime Limited Warranty. 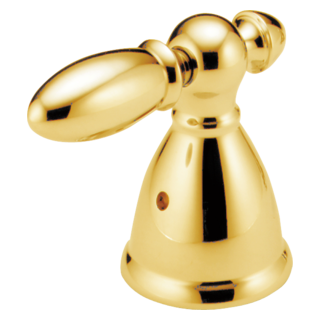 Does the polished brass model come with polished brass metal hose? One I received was chrome color hose. Can I use this handshower with a roman tub faucet from Kohler? I have an existing roman tub faucet from Kohler. I would like to add this handshower to it. Will the Kohler plumbing connect to this Delta transfer valve? Is the connection simple enough that I can do it without a plumber? Thanks. Yes it'll work just fine. The only down side is the handle will not match. You're probably gonna want a plumber. Both valves have fairly standard fittings on them. Where does one find the faucet that goes with this? What other parts are needed for installation? Thank you for your question. Delta Faucet model # RP33791CZLHP is a hand held shower used with our roman tub faucets. There just needs to be a complete roman tub faucet purchased that is without a sprayer. You will need a total of 5 holes for this installation but only the complete roman tub and this model are needed. There are no other parts needed. I have an existing Delta Roman tub and have recently purchased Leland Trim Model#: 2779-LHP--H677 for it. I would like confirm that this kit would allow me to add a hand shower to the existing &quot;regular&quot; Delta Roman Tub rough in? I'm assuming it will have to be &quot;soldered&quot; in by a plumber to the existing rough in? Also, does this coordinate with the Leland line and will Leland handle H578 work with this? Thanks! Can you use this product with older roman tub valve by replacing valve and using current trim kits? How can I tell which handles work with the handshower RP33791LHP? If I search for &quot;single metal lever handle,&quot; I get 100 options and clearly some of them are not applicable. Do you have a list of the ones I can choose from? Thank you for your question. We do have several handles available for your Delta Faucet model # RP33791LHP. 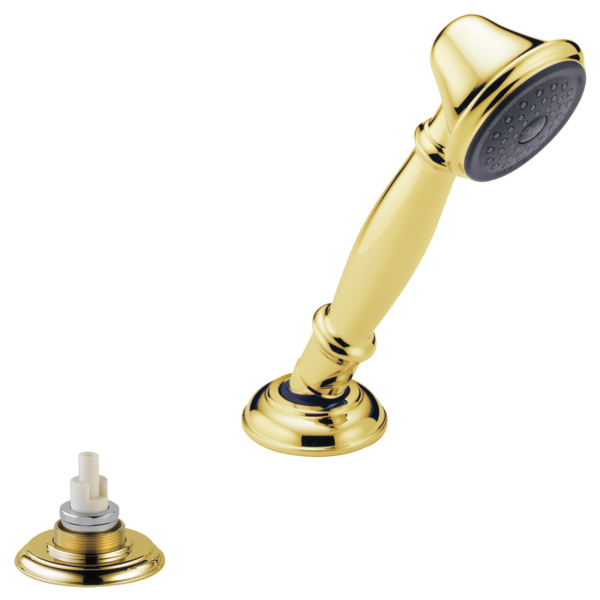 Usually the handles that you use on the roman tub faucet will have a matching single handle for the transfer valve on the handshower. For instance, in the Victorian line, we offer the H512 as a porcelain lever or the H516 as a metal lever to match the H612 or H616 roman tub handles.